I’m borrowing someone’s copy of Splinter Cell Conviction and even though I had earlier played the demo, it feels like they flipped the series on its head. The story is exciting unlike the political borefests we got before. The gameplay feels like Splinter Cell: Casual Edition though. Shootouts and linearity seem primary here, unlike the complex stealth options that were given in earlier games. 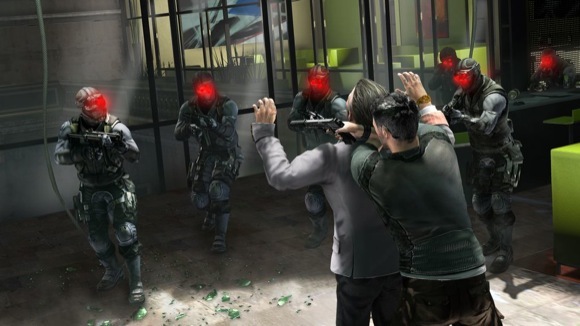 Splinter Cell Conviction is still pretty great even though it feels a lot more like 24 than Splinter Cell. Started the brilliant Half-Minute Hero... and now they are making an Xbox Live version. It's better suited for the handheld anyway! Whatever Epic is testing here looks amazing. Looks like another Deus Ex! Finally something new on Ninja Gaiden 3. I really don’t like the apparent focus on story though. We all know that area is not exactly Team Ninja’s strong point.